I’ve being very busy since I came back from Buenos Aires. I had plans to be in BA right now, but so much is going on, I am still here. 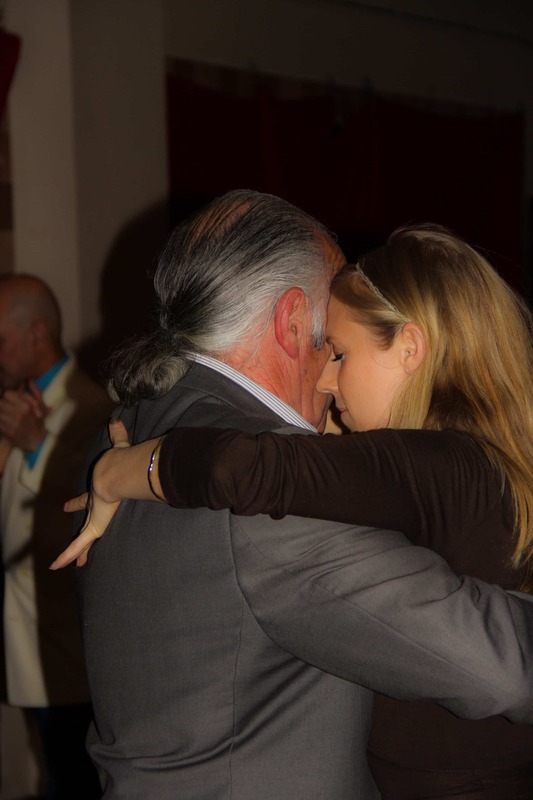 Among many things that I had no time to do writing about tango is the one I missed the most. In the meantime, all that kept me busy –mainly, teaching new students- gave me new experiences, new approaches, and new thoughts about how to present tango to those who are curious about it, and show up to a tango class for the first time. A new student asked me in the middle of her first private class if I thought that she was going to be able to dance tango. I answered that we were dancing to the music of Juan D’Arienzo Orchestra, recorded between 1940 and 1943, with Héctor Mauré singing and a 20 year’s old Fulvio Salamanca at the piano. I told her that Mauré used to be a professional boxer, until a bad punch made him quit boxing and dedicate himself exclusively to singing. I told her that if she gets to love tango to the point of finding that information really interesting, relevant, then she would dance, otherwise, not. That I could not order her to “love it”, same as it would not be possible to order someone to fall in love with a person. Whether she falls in love with tango or not is nothing I can do about. I cannot make a new student passionate about tango. I can share my passion with my students. But many would judge me crazy, obsessed, neurotic, and I would reply that while you judge, you cannot dance. Dancing tango implies dancing every single note, every nuance in the expressivity of each musician of each song. It takes knowing those songs and those musicians as you know your closest relatives and friends. I am satisfied if the new student learns, at least, to respect tango for what it is. I am very patient. Tango made me so. You do not have to rush in getting to know tango. Tango is infinite. Also, you have to enjoy your path in becoming a real milonguera or milonguero, enjoy it the way you enjoy a tasty flavored meal, even for the moments it may get too spicy. I will not say “I told you that already.” I will always present the concepts you need to know and apply, as if it were the first time I am presenting them to you. Repetition is needed, but we can make repetition a non-boring exercise if we do it to the wonderful music that tango is. “Just”. Sometimes I’ve being in the situation of explaining a move that is simple in appearance, and the student says “Just that! ?”, or “Ok, just that”, or something similar. Each single move is very, very, very important. Every little part of a move is something you have to feel fully. “I got it”. Each move in tango requires decades to be understood. We have to begin somewhere, and I will patiently show you the move. But you probably won’t be able to see it all. So, please, do not undervalue it. You need to be very humble to learn to tango. Please, accept that you start from ignorance, and have respect for the one that shares with you something he loves a lot. It is like introducing you to my family. Now, I remember a joke: One boy says to another boy – Look at that woman! She has a moustache!!! The other boy responds – She is my mom. And the first boy clarifies –The moustache looks very well on her!! !